December 26, 2018 – Z-Bikez chooses CMG Strategic Planning, Go-To-Market Planning, and Commercialization Services. Z-Bikez is Austin’s own brand of Personal Electric Vehicles. Z-Bikez are the practical, reliable and affordable transportation solutions for North America. Z-Bikez available online and look for the big green “Z” on Guadalupe. For More Information Click Here. December 17, 2018 – American PowerNet chooses CMG Go-To-Market Planning and Commercialization Services. American PowerNet is an independent power supply company providing retail and wholesale electric supply services throughout the United States. American PowerNet is not affiliated with any utility, or generator. For More Information Click Here. December 10, 2018 – RestorePoint chooses CMG Go-To-Market Planning and Commercialization Services. RestorePoint is a Managed Service Provider (MSP) for all things Data Management – Discovery, Monitoring, Control, Visualization, Analytics/AI, Backup, and Security. For More Information Click Here. December 3, 2018 – CMG Launches Smart Factory (SF) Framework. This framework puts into practice our manufacturing and Industry 4.0 expertise for enterprises and help define the use cases, benefits, technologies, standards and vendor offerings to digitize factories across many industries successfully. Bill Haser will lead this framework as well as co-lead the Smart Buildings Framework. For More Information Click Here. November 29, 2018 – CMG’s Andres Carvallo is interviewed by Frequency IoT about CMG’s services, Smart Cities, Smart Energy, Electric Transportation, and more. Frequency IoT releases its Podcasts in Soundcloud. To Listen to the Interview Click Here. November 27, 2018 – CMG’s Bill Haser to speak at Ohio State University’s CIO Solutions Gallery. The “CIO Solutions Gallery™” series is an ongoing nationally acclaimed forum where senior IT leaders and their business peers come together in a comfortable setting to share their experiences and insights, as well as collectively and collaboratively attack common issues. For More Information Click Here. 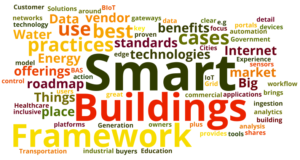 November 19, 2019 – CABA and Agora join forces to launch new Smart Buildings Summit. Both CABA and Agora have chosen CMG Advisory Services. CABA is an international not- for-profit industry association dedicated to the advancement of intelligent home and intelligent building technologies. Agora is the producer of the Smart Water Summit and the Smart Utility Summit. Both companies will work with CMG under a multi-year agreement. For More Information Click Here. November 12, 2018 – Bill Haser joins CMG team. Former Global CIO at $9.3 Billion Tenneco joins CMG to lead Smart Factory Practice and Co-Lead Smart Building Practice. “We are super excited about Bill joining CMG and driving our Industry 4.0 frameworks to accelerate Smart Factories and Smart Buildings”, said Andres Carvallo, CEO. For More Information Click Here. October 22, 2018 – CMG’s Andres Carvallo to keynote ‘2018 Global Power & Energy Blockchain Conference’ Nov 1 – 2, 2018 in Orlando, FL. The 2018 Global Power & Energy Blockchain Conference is the world’s first event focused on the use of Blockchain technology in the Power & Energy Industry. Blockchain technology is disrupting many industries and the Power & Energy industry will need to adapt to embrace this transformative change. The conference will assist utilities, policy makers, regulators, Smart Cities, and service providers to learn about Blockchain and its applications in the Power & Energy industry. For More Information Click Here. October 16, 2018 – CMG’s Andres Carvallo to speak at IWCE’s Critical LTE Communications Forum 2018 in Chicago Nov 6 – 8, 2018. IWCE’s Critical LTE Communications Forum is the only event in the industry dedicated to critical communications for government, public safety, critical infrastructure and enterprises as they prepare to transition from LMR to mission-critical LTE, and state and local governments prepare for FirstNet and Smart Cities. For More Information Click Here. October 4, 2018 – CMG’s Andres Carvallo, Bill Marsh, Dave Shpigler, and Tom Rose, EMCEEd and moderated panels at Smart Utility Summit. Colonel Jason A. Kirk, US Army Corp Engineers, and Cris Eugster, COO at CPS Energy delivered great keynotes. The panels on EVs and Charging Infrastructure, Blockchain, Puerto Rico Recovery, New Utility Business Models and Utility Regulatory Changes received great feedback from the 300 attendees. SUS 2019 is set for Oct 6 – 9, 2019. For More Information Click Here. September 21, 2018 – National Grid extends agreement with CMG into 2019 for its Smart Grid Roadmap Framework, Smart Cities Roadmap Framework, Regulatory Services, and Project Management Services. National Grid is one of the largest investor-owned energy companies in the world – covering Massachusetts, New York, Rhode Island and the UK. For More Information Click Here. September 14, 2018 – CMG’s Andres Carvallo and Artech House have published their 32nd and 33rd Power Engineering books. The newest titles “Microgrid Design and Operation: Toward Smart Energy in Cities” by Federico Delfino and others, and “Vertical Gallium Nitride (GaN) and Silicon Carbide (SiC) Power Devices” by Kazuhiro Mochizuki are timely and unparalleled books showing the state of the industry. For More Information Click Here. Aug 20, 2018 – CMG’s Andres Carvallo delivered keynote to Smart Water Utility Executives across the nation challenging them to accelerate their automation transformation to maintain global leadership as the best water infrastructure. Carvallo shared key trends impacting the industry, the results of a comprehensive survey showing key water issues, priorities to repair, what is getting fixed, using biodata, reducing energy costs while leveraging microgrids. Carvallo also shared about building end-to-end networks and handed his smart water utility playbook for all to use. July 18, 2018 – CMG’s Andres Carvallo and team speak, moderate panels, and attend Smart Utility Summit 2018. CMG’s Carvallo will also EMCEE the event. The Smart Utility Summit is the place to be. It is a journey of people, processes, and technology innovation delivering more resilient, distributed, cleaner and affordable energy. Designed by Agora Summits and CMG, Smart Utility Summit is a powerful yet intimate setting with 170 senior utility executives representing IOUs, MOUs, and COOPs across the nation joined by 65 world-class vendors and new disruptors. For More Information Click Here. July 9, 2018 – CMG Team Attends SEPA’s Grid Evolution Summit in Washington, DC. The 2018 Grid Evolution Summit will host top electricity stakeholders, from regulators, ISOs, and utilities to technology providers, academics, and government agencies, that will put their heads together to determine how to advance the electric sector. For More Information Click Here. June 25, 2018 – CMG launches a Regulatory Design (RD) Framework and Regulatory Design Services along with it. We believe that the modernization of energy distribution & data systems will benefit businesses & consumers. The CMG RD Framework and Services will be led by long-term utility expert Tom Rose. Prior to joining CMG, Tom built his regulatory and business expertise at Geometric Strategies, Clean Energy Technology Association, TXU Corporation, TXU Business Services, TU Services, TU Electric, and Texas Electric Service Company. For More Information Click Here. June 18, 2018 – Black & Veatch Telecom chooses CMG Strategy & Scenario Planning Framework and Services. BV Telecom serves infrastructure owners, telecommunications carriers, utilities, public agencies, energy storage, and vehicle charging/fueling companies across North America. Given its scope of expertise, BV Telecom is well positioned to lead the industry by leveraging its synergistic business lines through 2020 and beyond. For More Information Click Here. May 7 , 2018 – CMG attending 2018 UTC Telecom & Technology in Palm Springs. UTC Telecom & Technology 2018 provides dynamic sessions, workshops, and classes offering CEU credits. Meet with industry decision makers and connect with the private sector in our large Expo Hall. Enjoy entertaining activities while strengthening your network and knowledge at our awards dinner, gala, golf-tournament and more. All in the idyllic setting of Palm Springs, CA. This event is a must for Information and Communications Technology (ICT) professionals interested in not only keeping up with trends but getting in front of the fast-paced opportunities ahead in the utility landscape. For More Information Click Here. May 2, 2018 – pdvWireless chooses CMG Go-To-Market Planning Framework and Commercialization Services. Founded in 2004, pdvWireless has a proven track record of developing enterprise solutions over wireless networks, including the development and launch of push-to-talk networks and applications. For More Informartion Click Here. April 18, 2018 – National Grid chooses CMG Smart Grid Roadmap Framework, Smart Cities Roadmap Framework, and Regulatory Services. National Grid is one of the largest investor-owned energy companies in the world – covering Massachusetts, New York, Rhode Island and the UK. For More Information Click Here. April 9, 2018 – Itron chooses CMG Go-To-Market Planning Framework and Commercialization Services. 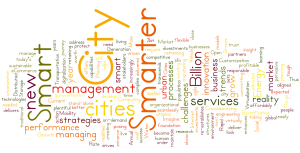 Itron is a technology leader offering products and services for smart utilities, smart cities, and enterprises. Itron’s new connectivity platform enables affordable full control and management of systems across multiple use cases. For More Information Click Here. March 21, 2018 – CMG team attending and speaking at ETS18 in Austin, TX. Energy Thought Summit’s 5th Edition is next week March 26 – 29, 2018 – ETS18 is focus on Digital Energy Transformation. For More Information Click Here. March 15, 2018 – CMG’s Andres Carvallo to Moderate Panel and Speak at IEEE’s GreenTech: Smart City 2018 Conference 4-6 April 2018 at the AT&T Conference and Event Center on the University of Texas at Austin campus! Andres will moderate a panel titled “Distribution Grid Automation Powering Smart Cities ” with Elaina Ball (COO – Austin Energy), Cris Eugster (COO – CPS Energy), Ingmar Sterzing (Principal – Skaia Energy). March 8, 2018 – Andres Carvallo and Artech House have published their 31st book. The newest title “Smart Grid Redefined: Transformation of the Electric Utility” by Mani Vadari. This practical resource guides professionals in the evolution of the Smart Grid and offers insight into distribution automation, storage, and microgrid. This book highlights the journey to a transformed electric utility, provides solid examples, and includes real-world case studies. For More Information Click Here. February 26, 2018 – Tom Rose and Mohan Devu join the CMG team. “We are delighted to have Tom Rose and Mohan Devu join our team and further enhance our capabilities and industry relationships. They bring a great deal of expertise and credibility to the team. We look forward to working with them,” said CMG founder & CEO Andres Carvallo. For More Information on Tom Rose – Click Here. For More Information on Mohan Devu – Click Here. February 16, 218 – CMG releases version 3.0 of its website. This new website is far easier to navigate, search, and get the right information from. “Digital technologies continue to advance at a faster and faster pace, and we are committed to leveraging them to build our brand and deliver our solutions to the marketplace”, said CMG’s Andres Carvallo. CMG continues to build deeper capabilities on software, cloud computing, mobile computing, big data, and IoT and them applies them to its own frameworks and solutions for all customers to benefit from. February 6, 2018 – CMG Launches Blockchain Energy (BE) Framework. CMG BE Framework delivers the answers to use cases, technologies, vendors, business models, business cases, policy regulations and models, and best practices for Trasactive Energy Solutions, Peer-To-Peer Energy Solutions, Community Energy Solutions, Mobility Energy Solutions, and others. CMG Blockchain Energy Framework leverages CMG Virtual Power Plant Framework, CMG Distributed Energy & Microgrid Framework, and CMG Smart Grid Roadmap Framework. February 1, 2018 – Spirae chooses CMG’s Go-To-Market Planning Framework and Services to accelerate its commercialization and success in the DERMS and Microgrid marketplace. Spirae is an innovative technology company that delivers scalable smart grid solutions to global partners and customers. Spirae specializes in the integration of large-scale renewable and distributed energy resources, the development of local and wide area controls, energy service platforms and power system simulations. For More Information Click Here. January 22, 2018 – CMG Walking Distributech in San Antonio, Texas. CMG team meeting with multiple utilities and vendors to share their latest frameworks and services. One focus for the Distributech attendees with be the CMG Smart Infrastructure Advisory services. DistribuTECH culminated with 13,500+ Individuals from 77 Countries, including qualified professionals from 326 Electric, Gas and Water Utilities. In short, utilities depend on DistribuTECH to learn, network and conduct business. For More Information Click Here.